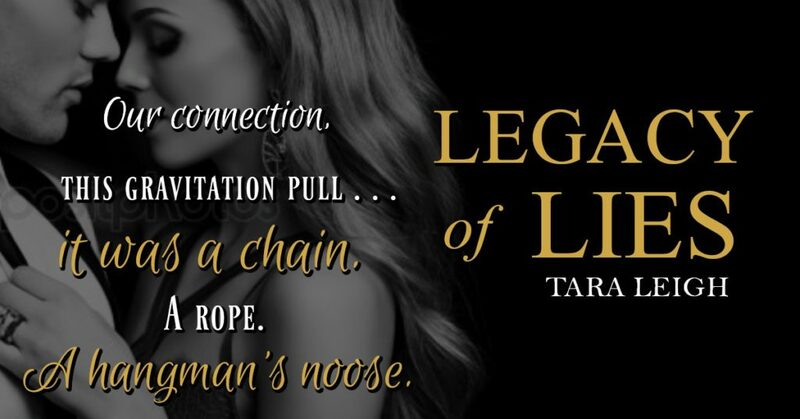 ⭐️ TEASER ⭐️ THRONE OF LIES and LEGACY OF LIES by Tara Leigh! Today we are sharing some teasers, and a book trailer, for two titles by Tara Leigh! 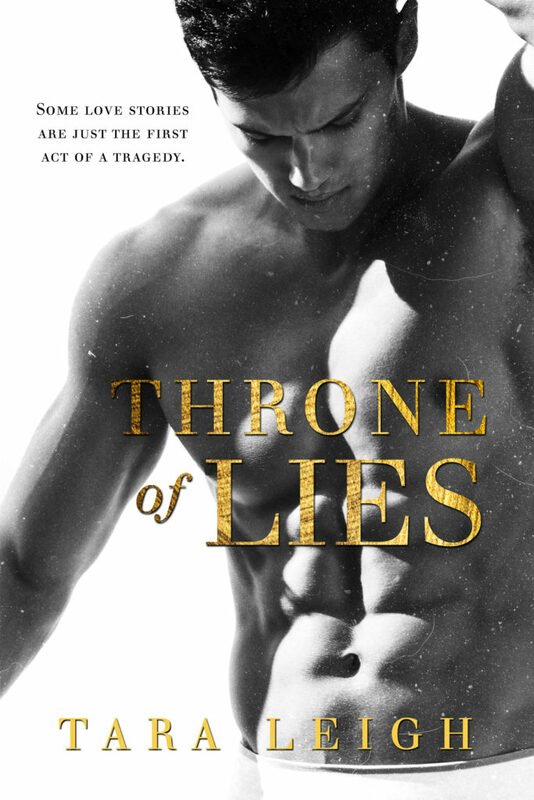 THRONE OF LIES is a prequel novella from the Legacy of Lies series that will be releasing on October 11th. LEGACY OF LIES is the first novel in the series and it is set to release on October 15th. Follow Tara’s newsletter for exclusive news about the series, and to hear when the books go live! I believed I was entitled to all of it. I thought I was entitled to her, too. In a scandal that set our families against each other, I lost. I was heir to a throne built on lies, my crown forged from corruption. Stripped of everything I’d been raised to consider my birthright. Including my princess—who wasn’t mine, after all. I’ve spent the past decade rebuilding my life, on my own terms. Now I’ve returned to Manhattan for redemption, too. Jolie wasn’t supposed to be here. … And I wasn’t supposed to care. Screw me once, shame on you. Who am I kidding? I don’t believe in second chances anymore. The LEGACY OF LIES series novella, THRONE OF LIES, coming October 11th! I was called a prodigal son. I believed it. Why wouldn’t I? Everything my father touched turned to gold. The proof was all around me. Even my girlfriend, a Park Avenue Princess. I reigned from a throne of lies. My fall from grace… wasn’t graceful at all. 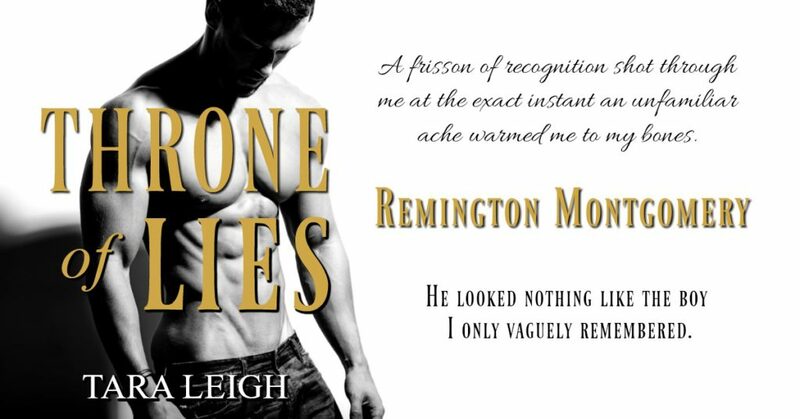 Tara Leigh writes steamy contemporary romance featuring tortured heroes worth lusting after and the women they didn’t know they needed. She attended Washington University in St. Louis and Columbia Business School in New York, and worked on Wall Street and Main Street before “retiring” to become a wife and mother. When the people in her head became just as real as the people in her life, she decided to put their stories on paper. Tara currently lives in Fairfield County, Connecticut with her husband, children and fur-baby, Pixie. Previous✰✰ NEW RELEASE ✰✰ The Last Resort Motel: Room 419 by Ann Mayburn is LIVE! Next⭐️ COVER REVEAL ⭐️ Vicious Glamour ~ Glamour Series Book #7 by Maggie Marr!